This is our humble yet determined challenge to the great wines of the world, a blend of Nero d'Avola grapes, the strong expression of our land, and Cabernet and Merlot grapes evoking the Atlantic coast of France. Vinified and refined separately in small French oak casks, the percentage of the blended grapes varies every year to express always their best. 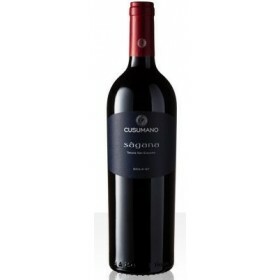 This hand-picked Estate wine is a blend of Nero d’Avola, Cabernet Sauvignon, and Merlot. 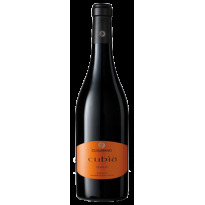 It is packed with rich aromas of jam, cocoa, and licorice. Sweet tannins work together to create a rich, full-bodied wine with flavors of spices and dried figs. de-stemming and fermentation at a controlled temperature of 28-30°C for 10/15 days; malo-lactic decomposition in oak barrels. It is matured in these barrels for six months and then it continues its maturation in bottles.